I didn’t drink coffee before I contact Finnish culture. The only coffee place in the world was Starbucks (and perhaps Macdonalds’ coffee). Can you imagine that? In 6 years, I have transformed from a person who does not know (or care) about the difference between filter and espresso coffee to a person who demands good espresso with milk that has beautiful creamy texture. The best latte so far is the one offered by Fratello. 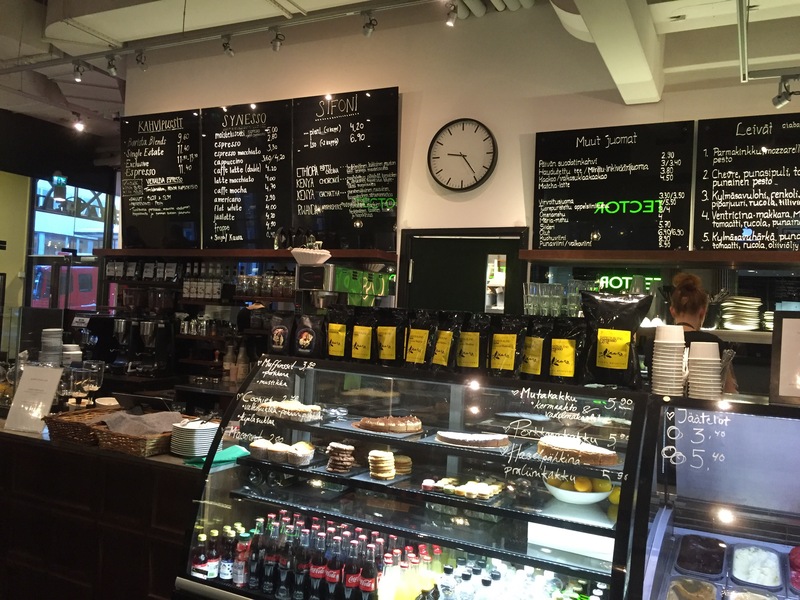 Fratello is a coffee place in front of the Helsinki University’s Porthania building. I used to buy a latte to go on my way to my 8:30AM Finnish class on Wednesdays and Fridays. It always have me a nice boost in the morning. 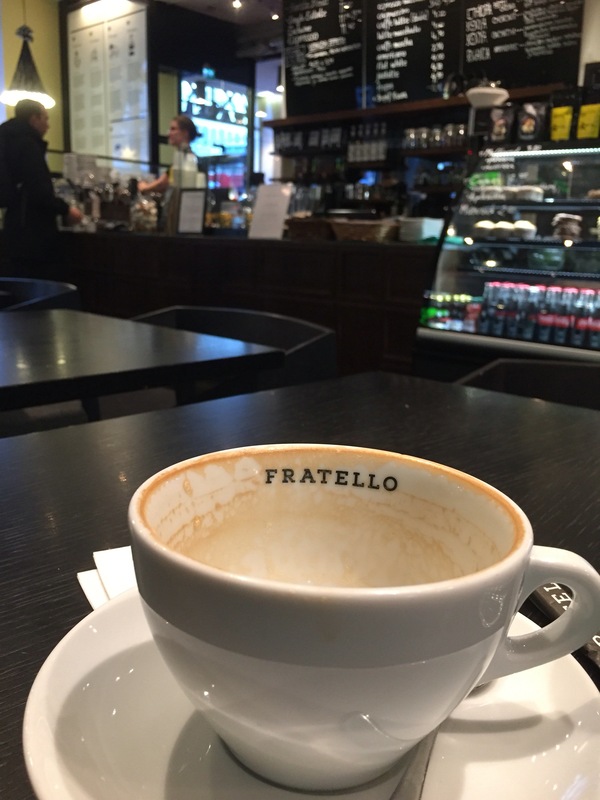 The staff in Fratello speak perfect English, so you don’t have to worry as a non finish speaker. I might be wrong but I am under the impression that the staff can be even more friendly (more smile, more interactive, etc) when you speak English with them. You’ll have to try it yourself. Come by Fratello if you are around the helsinki city center. Grab a latte (4€ for latte and 4.2€ for double shot) and a carrot cake (5.9€, ordinary Finnish priced cakes), enjoy a lovely morning on the comfortable sofa. You won’t be disappointed. the coffee was so good that I finished it in a blink of an eye! Visit fratello’s website for more information.